Coupons can make shopping fun when you get to save money on everyday items. Take a look at today’s top printable coupons to see how they can save you money. 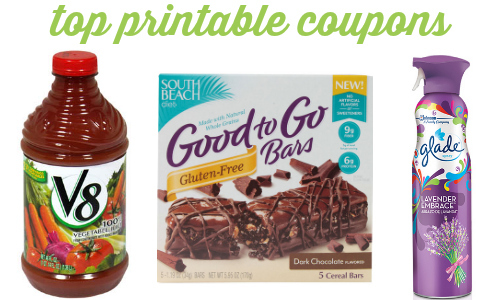 There are 21 new coupons including V8, Glade, Hasbro, South Beach Diet bars and more! Looking for ways to use your coupons? Head over to the new coupons page for ideas.